Right now, they're only 12 to 18 years old and may be more interested in selfies or what their peers and favorite celebs may say. What’s important to them is being accepted and surviving life’s difficulties and that's OK. Learning to lead isn't a priority, but we see them as tomorrow's leaders. 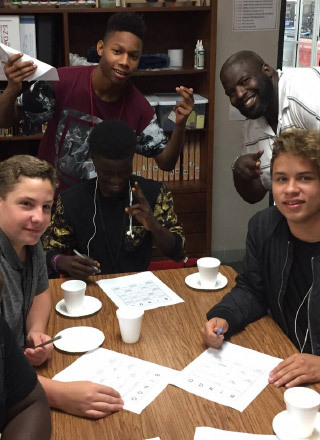 Dallas Leadership Foundation's DLF Youth department reaches out to youth where they are. We serve more than 2,400 youth through our in-school program, Power Lunch, our annual summer camp, Power Camp, and through our Power Sports initiative. The time young people spend with POWER coaches and mentors makes a measurable difference. Students who participate in DLF Youth's Power Lunch program, for example, experience a 97% on-time graduation rate. During the mentoring sessions, mentors meet with mentees to listen and encourage students to talk about issues he or she is currently facing. Mentors will also meet the mentees after or during school as needed. Youth ages 12 to 18 years old can attend this free summer leadership camp. It’s an intense, seven-week training that offers youth spiritual, physical, social, and academic growth opportunities. Daily activities include Bible Study, abstinence education, leadership and character- building training, job-readiness training, and weekly field trips to expose students to areas beyond their neighborhoods. We love each student as we listen to his or her valued opinion. We also lead them to make wise choices about their life and education. We present customized curriculum in order to decrease classroom disturbances due to behavior, while encouraging students to use their leadership ability in a positive way. 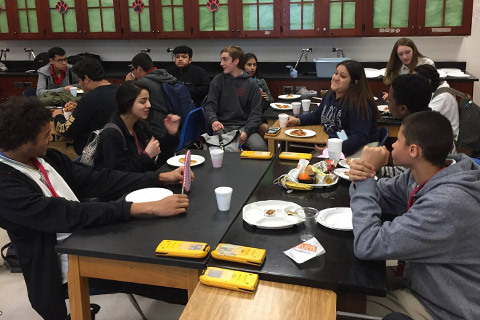 Power Lunch engages students in current and relevant issues. Each month a different topic is introduced and discussed for at least three to four weeks.